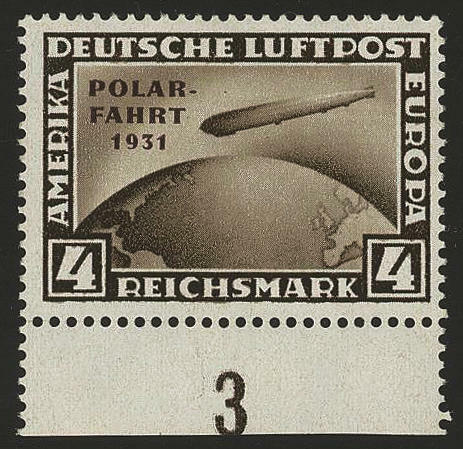 4803 456/58 Polar travel 1931, all three values, fresh colors and very well perforated, in perfect condition mint never hinged, without any signs. An outstanding set for the highest standards! Photo expertize \"the quality is perfect\" Hans-Dieter Schlegel BPP. 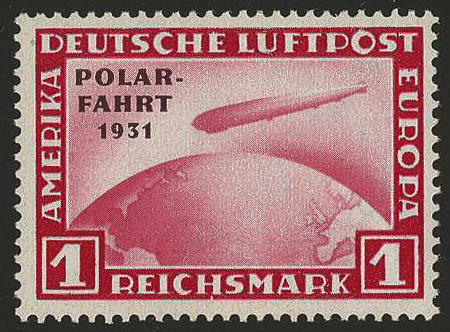 4804 456/58 Polar travel 1931, having bright colors set, in perfect condition unused, expertized Schlegel BPP. Michel 900,- €. 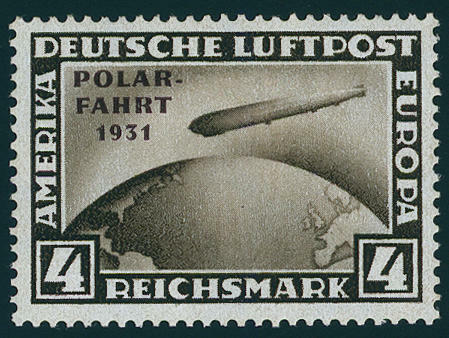 4805 456/58 Polar travel 1931, having bright colors set, without gum, otherwise in perfect condition. Michel for unused 900,- €. 4806 456I 1 RM. 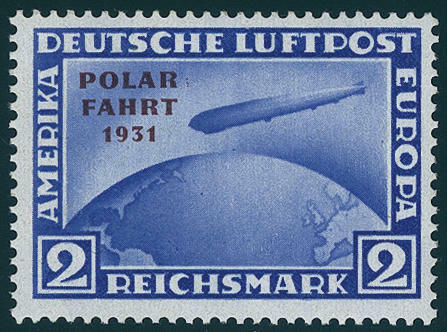 Polar travel with scarce plate flaw \"unhyphenated to polar\", fresh colors and very well perforated, mint never hinged with slight gum defects at the upper margin. Photo expertize Schlegel BPP. Michel 2500,- €. 4807 456I 1 RM. 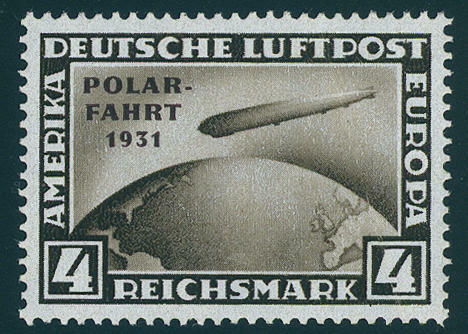 Polar travel 1931 with rare variety \"Polar travel unhyphenated\", a thooth tip tiny shortened, otherwise in perfect condition mint never hinged, expertized Schlegel BPP. Michel 2500,- €. 4808 ✉ 456I 1 RM. 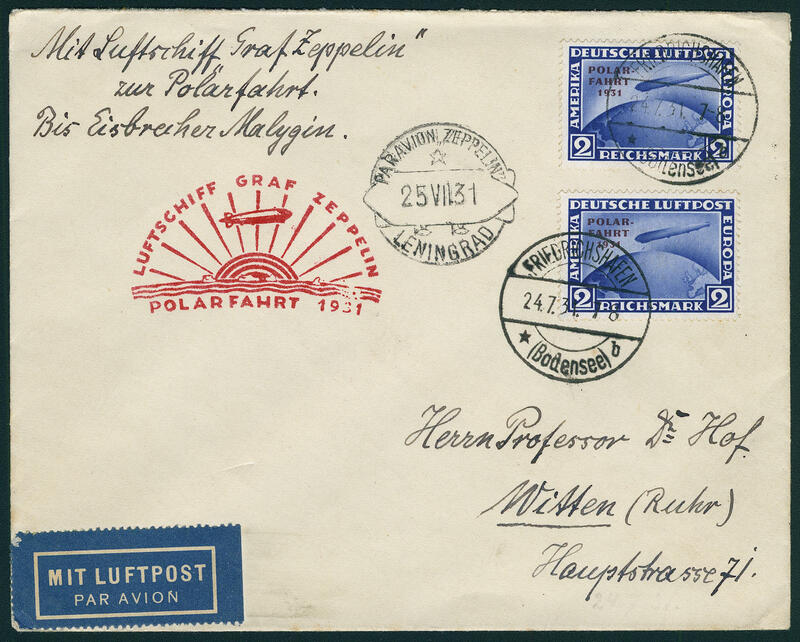 Polar travel with scarce plate flaw \"missing hyphen\" in the vertical pair with normal stamps se-tenant, in perfect condition as correctly franked multiple franking on very nice Zeppelin postcard from \"FRIEDRICHSHAFEN 24.7.31. 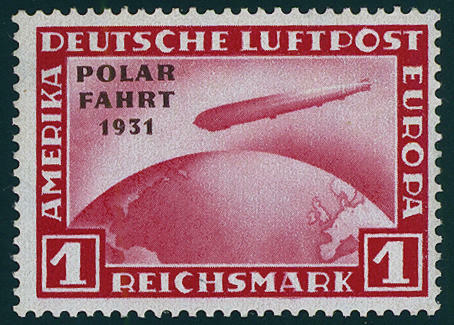 \" with red special confirmation stamp \"airship Count Zeppelin Polar travel 1931\" and stamp from \"ice-breaker MALYGUIN in the Arctic 27. VI. 31\" to Bremen. So nice correctly frankings of the rare overprint errors are very rare! Photo expertize \"the quality is perfect\" Andrew Schlegel BPP. 4809 ✉ 457 2 RM. 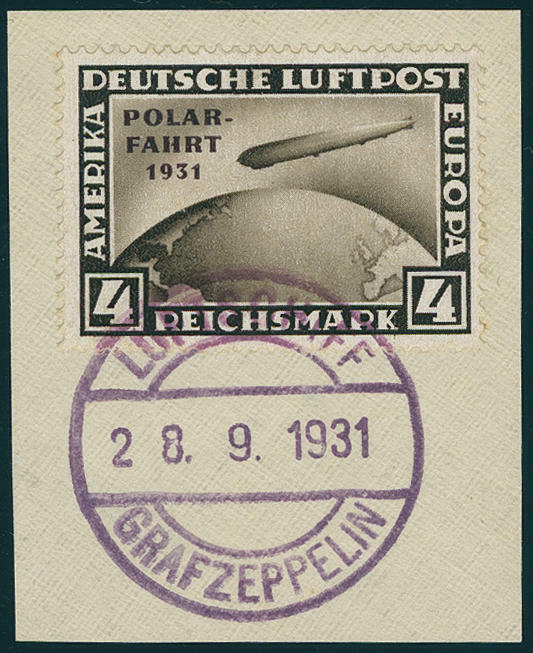 Polar travel, very nice and faultless multiple franking on correctly franked Zeppelin cover from \"FRIEDRICHSHAFEN 24.7.31. 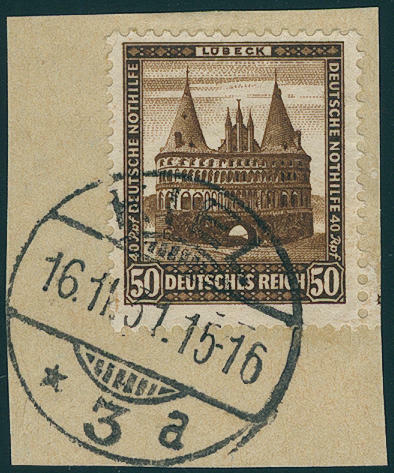 \" to Witten with red special confirmation stamp, as well transit cancellation from Leningrad. An attractive cover! 4810 457I 2 RM. 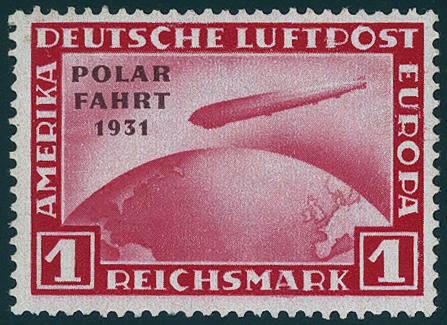 Polar travel with scarce overprint error \"missing hyphen to polar\", fresh colors and very well perforated, in perfect condition mint never hinged photo expertize \"the condition is perfect\" Dr. Oechsner BPP. Michel 2800,- €. 4811 458 4 RM. 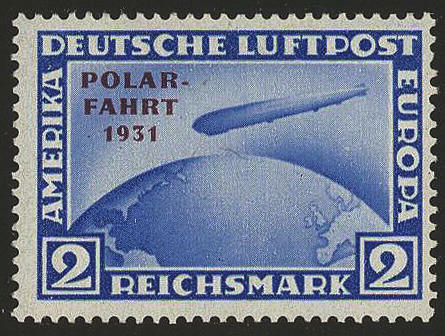 Polar travel, wonderful fresh colors, very well perforated, in perfect condition mint never hinged, expertized Schlegel BPP. Michel 2200,- €. 4812 458 4 RM. 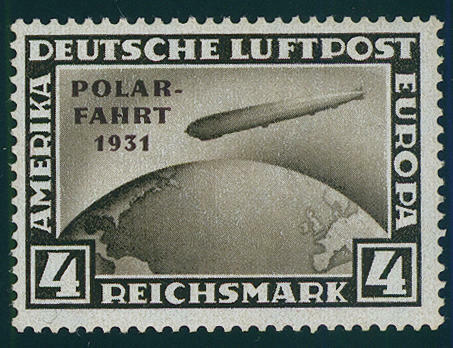 Polar travel 1931, fresh colors and in perfect condition mint never hinged, expertized Schlegel BPP. Michel 2200,- €. 4813 458 4 RM. 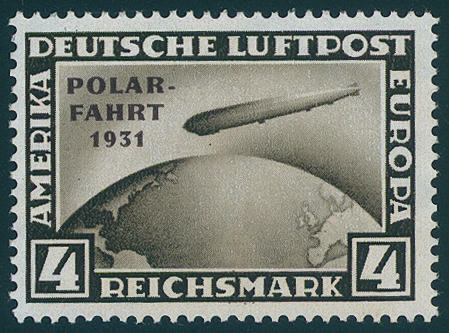 Polar travel, fresh colors and very well perforated, in perfect condition mint never hinged with slight fingerprints, from lower margin. Photo expertize \"good condition\" Hans-Dieter Schlegel BPP. Michel 2300,- €. 4814 458 4 RM. 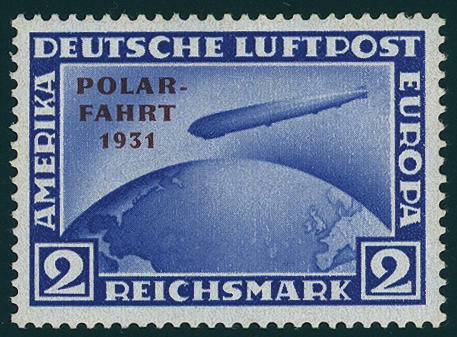 Polar travel 1931, fresh colors and in perfect condition unused, photo expertize \"excellent quality\" Dr. Oechsner BPP. Michel 550,- €. 4815 458 4 RM. 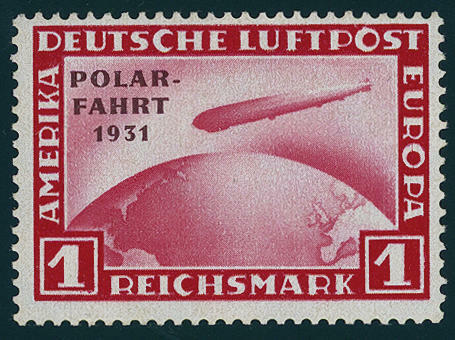 Polar travel 1931, fresh colors and in perfect condition unused. Michel 550,- €. 4816 ∆ 458 4 RM. 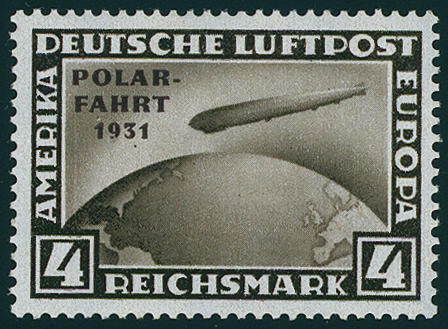 Polar travel on magnificent letter piece, in perfect condition with on board cancellation mark \"airship Count Zeppelin 28.9.31\". Michel 900,- €. 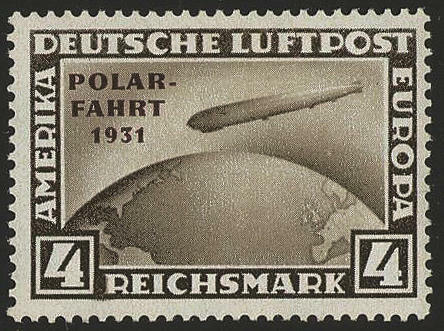 4817 ∆ 459/62 Help in need 1931 on beautiful letter pieces, uniform perfect used \"KIEL 16.11.31. \". For the highest standards! Both top values expertized Schlegel BPP. 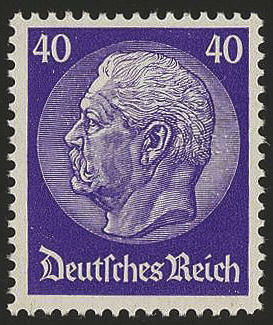 4818 467/73 Hindenburg 1932, in perfect condition mint never hinged, without any signs. Michel 170,- €. 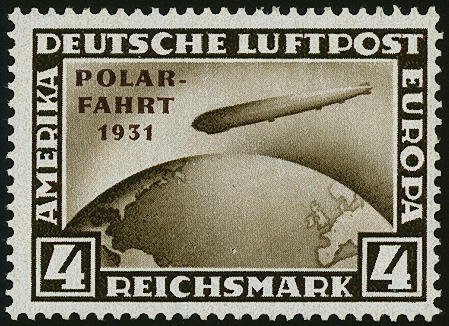 4819 ✉ 474/78 Help in need 1932, faultless set on registered special delivery letter from \"BERLIN 29.4.33. 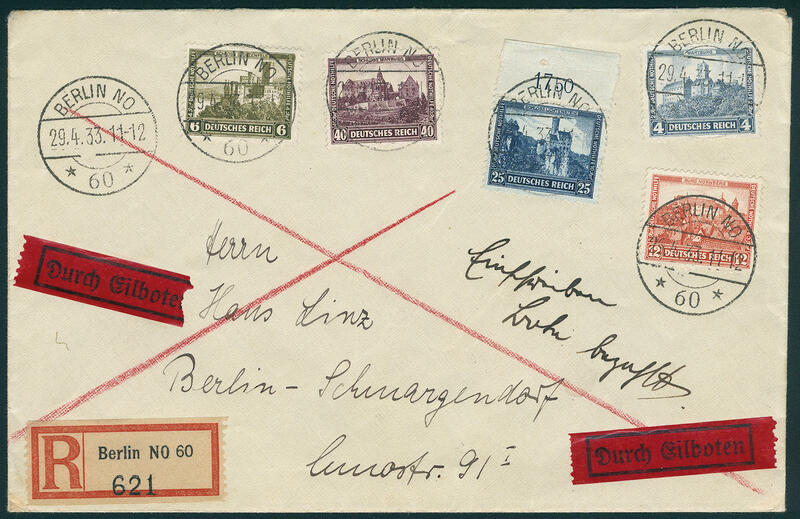 \" to Berlin-Schmargendorf with arrival postmark. 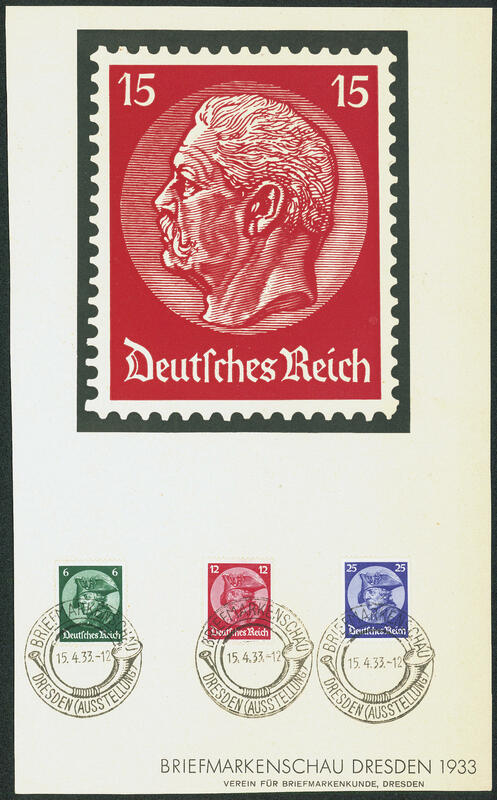 4820 ✉ 479/81 Frederick the Great, faultless set on very nice and decorative commemorative page with special cancellation \"DRESDEN stamps show 15.4.33. \". Rare! 4821 ✉ 488BN 15 Pfg. 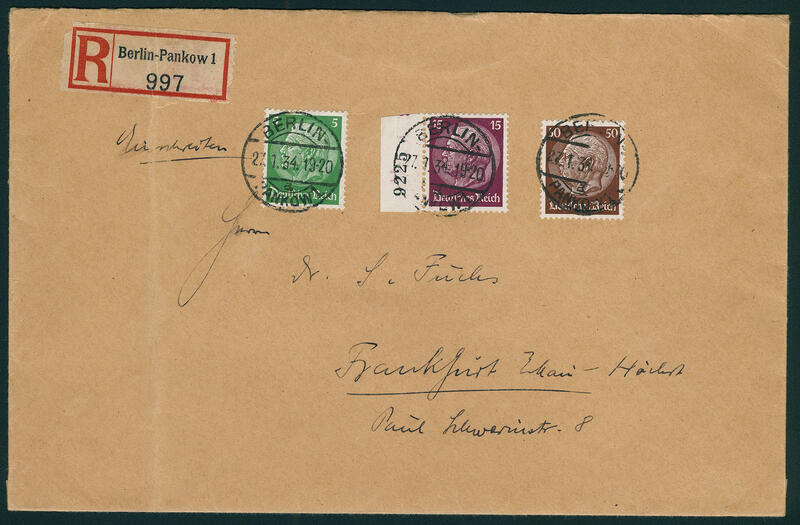 Hindenburg, watermark waffle, from left margin of sheet with sheet number \"9225\" with additional franking on registered cover from \"Berlin Pankow 27.1.34. 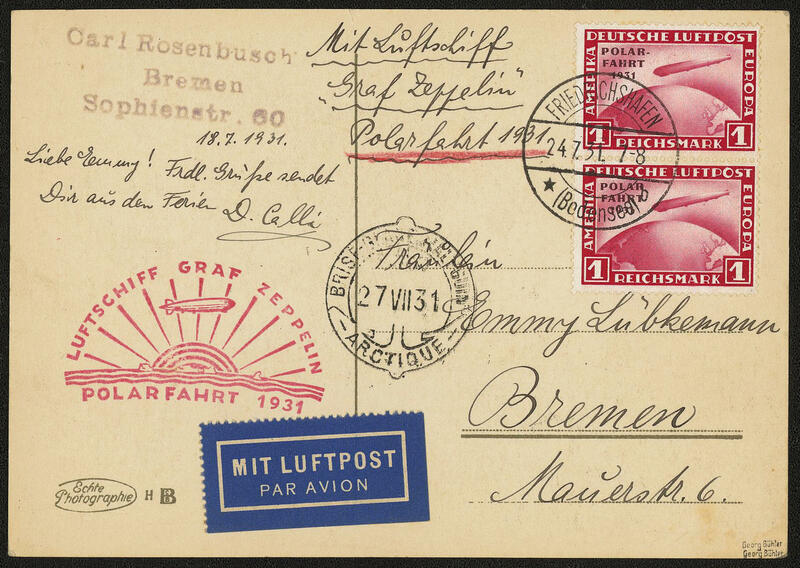 \" to Frankfurt highly with arrival postmark. The 50 Pfg. Is on cover anyway rare. In this kind with sheet number a rarity of this issue! 4822 492 50 Pfg. 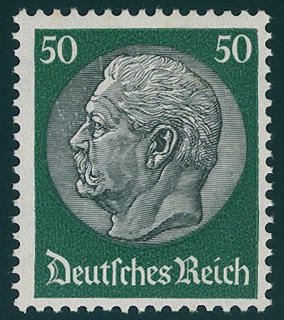 Hindenburg, watermark waffle, in perfect condition mint never hinged Michel 140,- €.